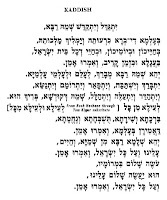 Just a little while ago I returned from synagogue, where my mother’s name was read from the bimah as I stood, preparing to recite kaddish, marking the second anniversary of her death. My father will do the same in his synagogue next week, which is when her yahrzeit will be observed there. 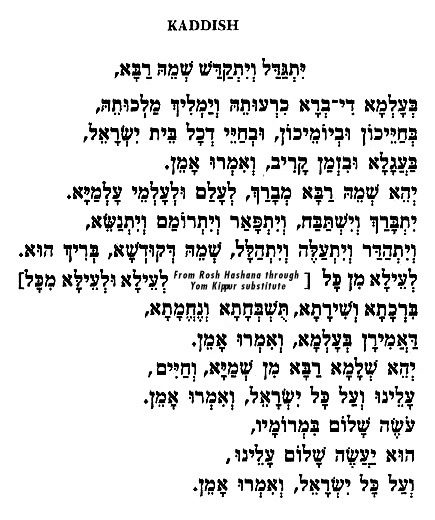 In the meantime, because of an IM conversation I had yesterday with a friend who’s currently visiting in Jerusalem, he also said kaddish for her tonight. Friend: Good evening from Jerusalem. Me: Ahhhh...lucky you! Enjoy, be safe, and eat a falafel for me! When are you back? Friend: Want me to bring you anything? Friend: Consider that done as well. Tomorrow night with the IMPJ. So, The Mums, I hope you appreciate that tonight—from the east and from the west--we were thinking of you, remembering you, and missing you. xoxo.